Surprise! I got knocked up. Well, having a child in your early 20s is not that surprising. What I didn’t expect was the big adjustments that I had to go through to survive motherhood. Yes. You hear me right. Survive is the best word to describe it; and I think I nailed the first years of motherhood with flying colors. I am just not sure if I can do it a second or third time around. My parenting story is far from those of my rich friends who also married young. Unlike them, who have kept their sanity intact all these years, I have to earn mine. Sleepless nights? Oh yeah. We’ve got tons of that. Choosing motherhood over career? You bet, I’ve got a degree on that too. Skyrocketing household bills? Well, who doesn’t have that huh? I hear everyone’s countless pieces of advice of the benefits having another child in the family. It is just our family has surpassed the nitty gritty stage and we want to hold on to our sanity a little longer. There are some perks that we, especially my son, are enjoying, because he is an only child. Having an only child just works best for us. There is an old notion that only children are emotionally challenged because they lack some socialization at home. I surely beg to differ on this. Let me tell you why. My son is an academic and social achiever. He is a school athlete and among the top students in his class. He wins elocution and public speaking contests from time to time. So, I don’t think that growing up alone has affected his confidence and self esteem. Because you know what, the 100% parental love and attention that he gets from us are way beyond of what he needs to succeed in life. I never had a problem leaving my child at daycare or at school. While the other moms had to stay all day with their child at kindergarten, I just have to drop and fetch him after school hours. There was also the time that we had to leave him under the primary care of my father-in-law for almost half a year due to work. And my son aced that experience. Instead of crying out, he stepped up and tried the best that he can to make the best out of the situation. We hear stories of only children having imaginary friends or siblings. Some may see it as alarming, but this is a good thing for me. This shows that they keep their minds working to find some way to fill their longings for a sibling. My son does not have an imaginary friend but he sure is creative. Whenever he gets bored at home, he turns to his sketch pad and draws his favorite superheroes, TV characters and many more. He has a lot of drawings and I will bet my hat, his artworks are way better than mine. Let’s be realistic. When you have a very exhausting and tiring day at work, all you are looking forward to is going home to your stress-free abode. Sure, my child needs a brother or sister to play and grow up with, but I am 100% sure that what he needs more is a sane parent who will have the patience and energy to keep up with him. So yeah, I may be selfish, but I need to be in my best shape to take care of my child. Many couples part ways due to money matters. So my point is, why raise three if all you can afford is one. I am just being practical here. 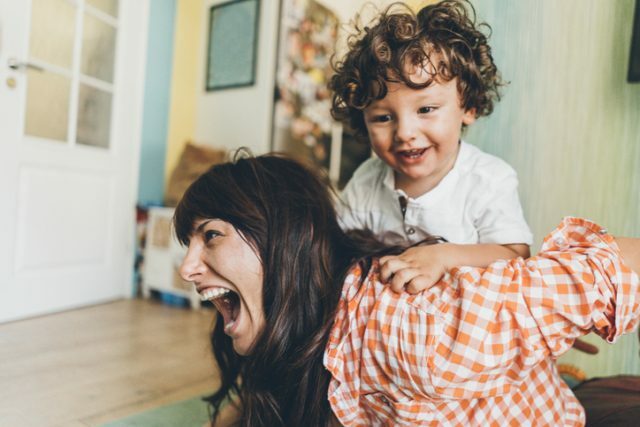 This may not be at the top of our list as to why we decide to raise an only child, but we cannot deny that it is really a big-time perk for us. I may have an only child right now but I have some investments ready for him in the future. On top of the good private school education that he is getting, we have some additional resources set aside to enroll him in sports classes and some extracurricular activities to help him grow. So yeah, my son is an only child, but he is happy, fulfilled and is not missing anything in this lifetime.